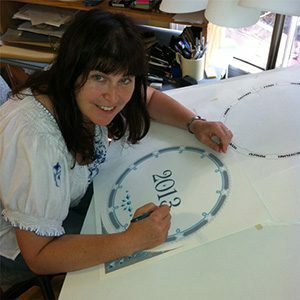 Lithograph Ketubah, Original and Giclee - what is the difference? I’m so old school. 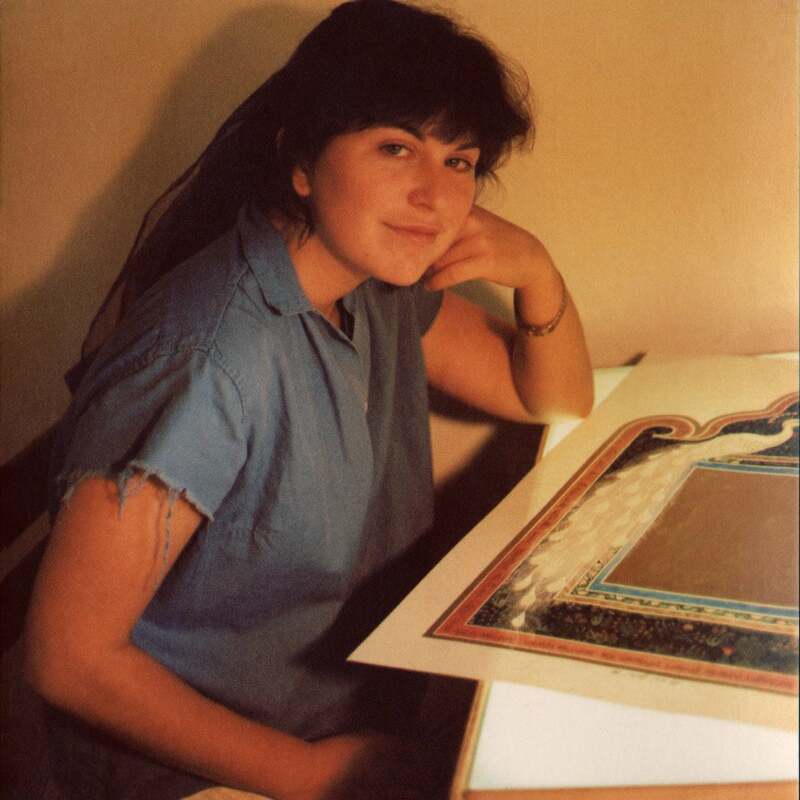 Or at least I was… For years I could only hand calligraph all of the personal information into the ketubah when people ordered an offset lithograph ketubah. I also created original, one of a kind, hand painted ketubot. 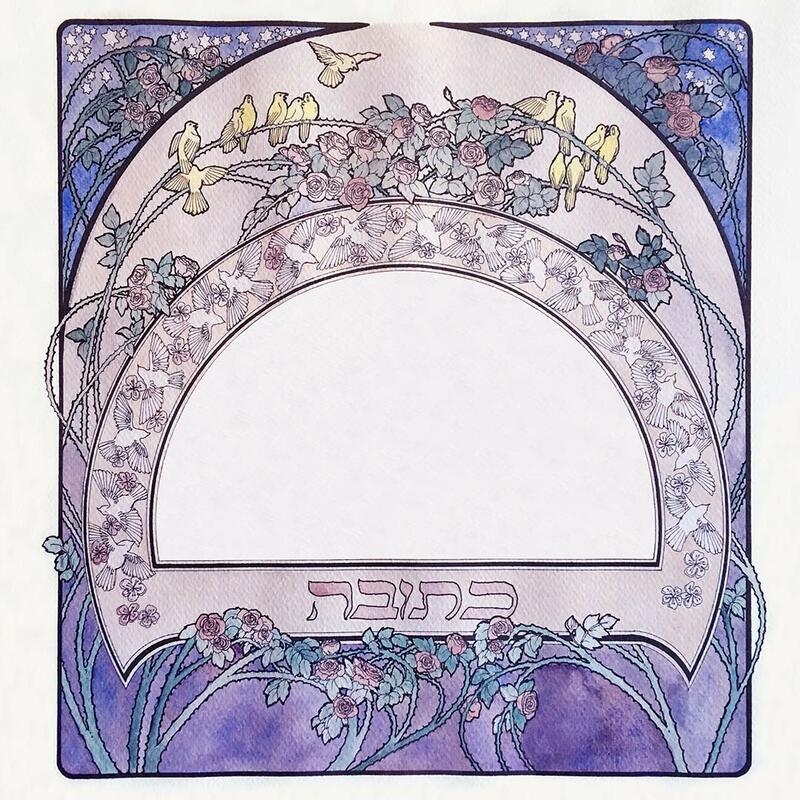 In fact, the first ketubah I made was for my own wedding – an original art nouveau design. These hand painted, one of a kind, original ketubot begin with a blank piece of watercolor paper, pens, brushes, paint and me. And finally, with advances in digital technology, I now offer fine art giclee ketubah prints. (I’ve been creating ketubot for almost 40 years, and suddenly this new thing comes along and blows my mind!) The giclee art print uses an original hand painted ketubah that I have scanned into the computer. With a giclee art print I can offer options I could only dream of before: different color choices for each design, a choice of sizes, changing the existing text, a little or a lot, or even writing your own custom text. 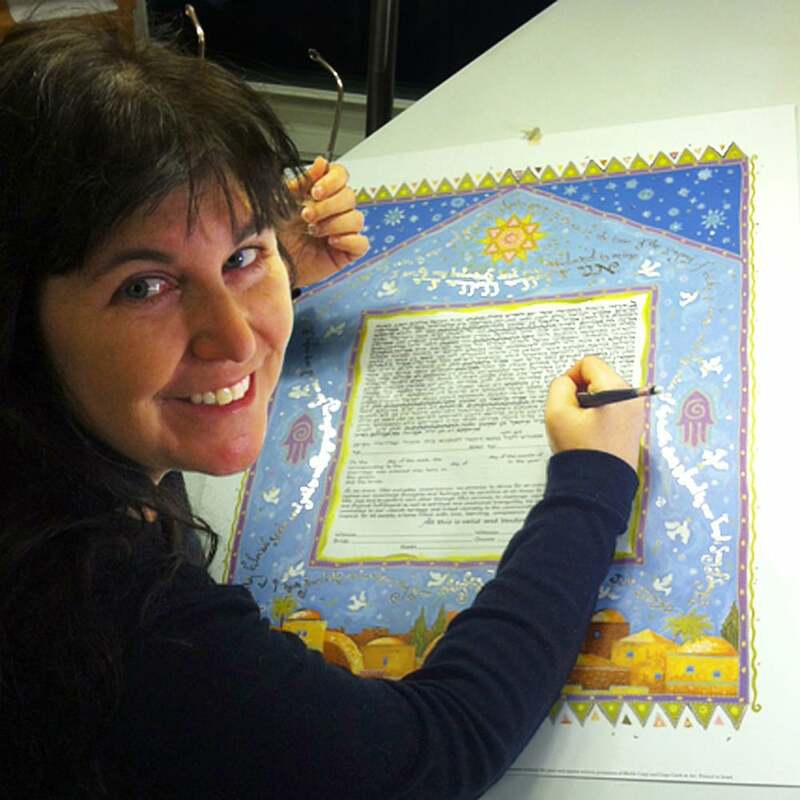 I then can print out one unique ketubah on beautiful entrada rag natural paper or even fine art canvas. 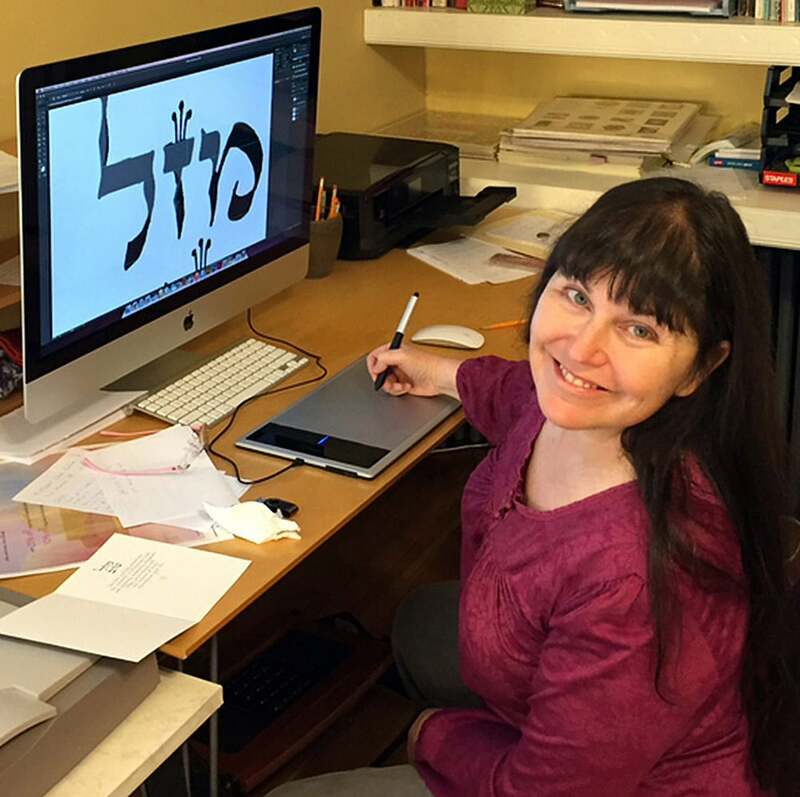 Previous post: Unique Ketubah Designs… even Dragons?